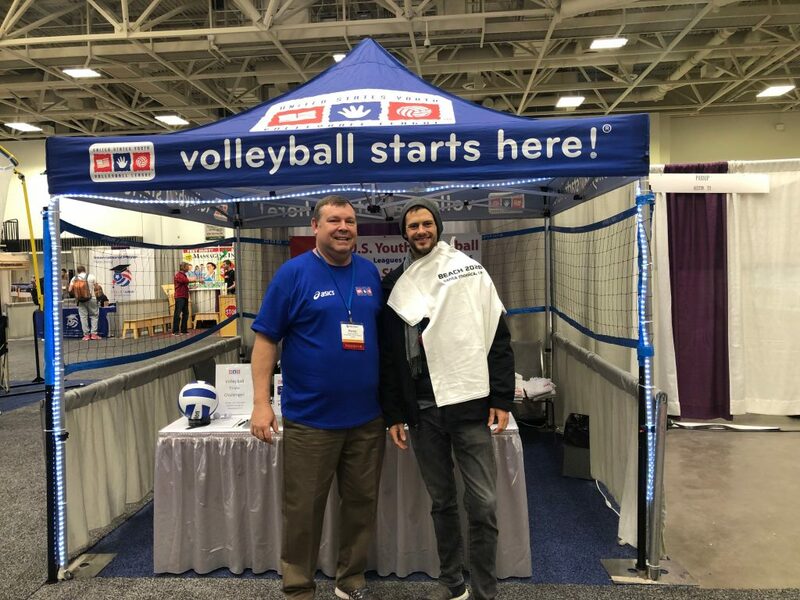 Last week USYVL headed on over to Minneapolis, Minnesota for the annual AVCA Convention. 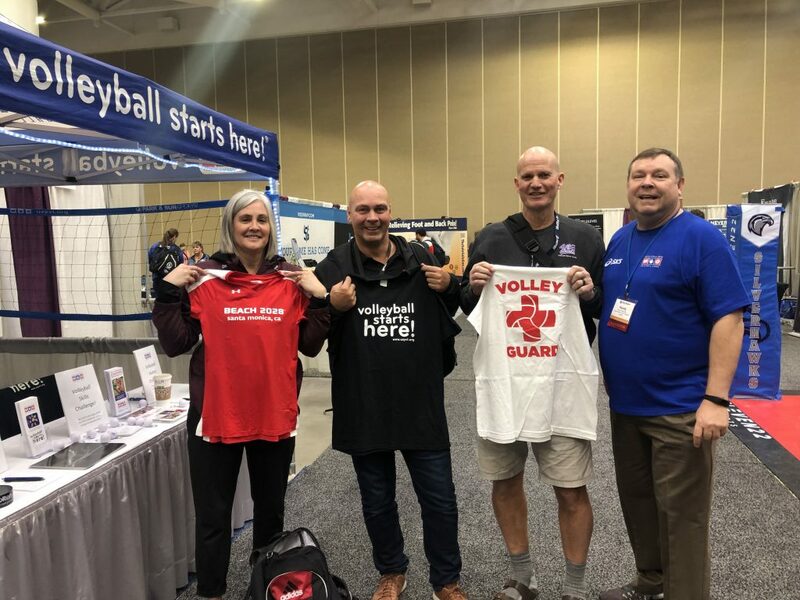 What is the AVCA convention you may ask? 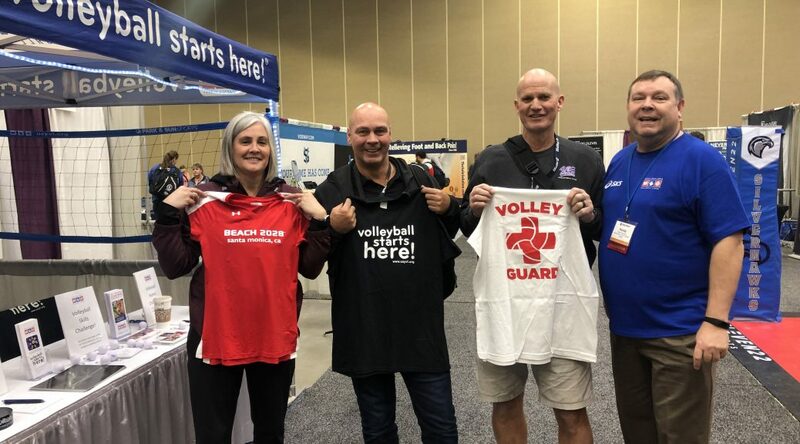 The AVCA Convention is a chance for coaches, players, and really anyone who enjoys volleyball to network and attend seminars and panels to learn more about developing the sport of volleyball. 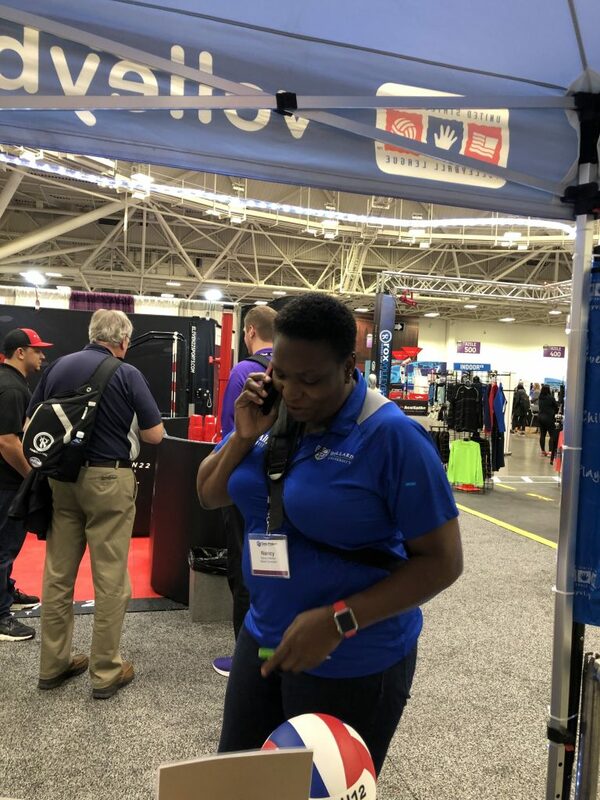 We were there at booth 841 offering attendees a free shirt if they could do one of three simple tasks. 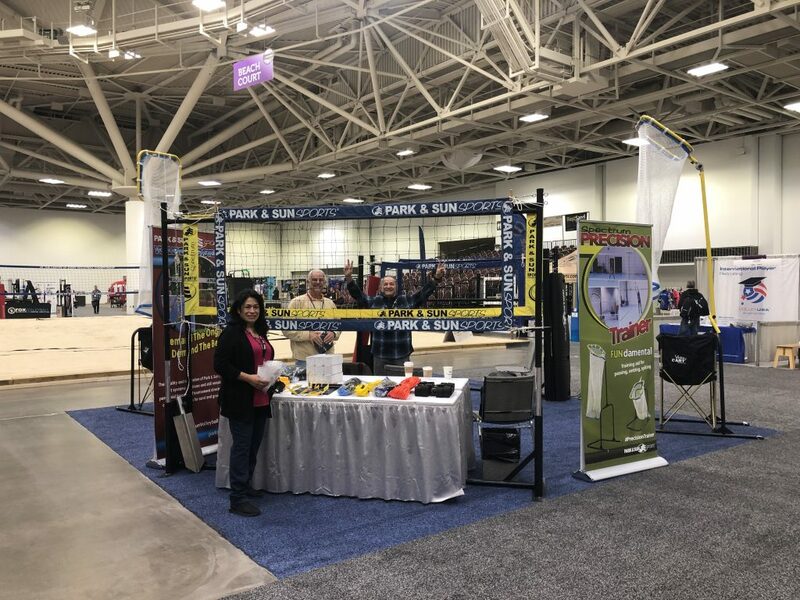 Just take a look at some of our winners. 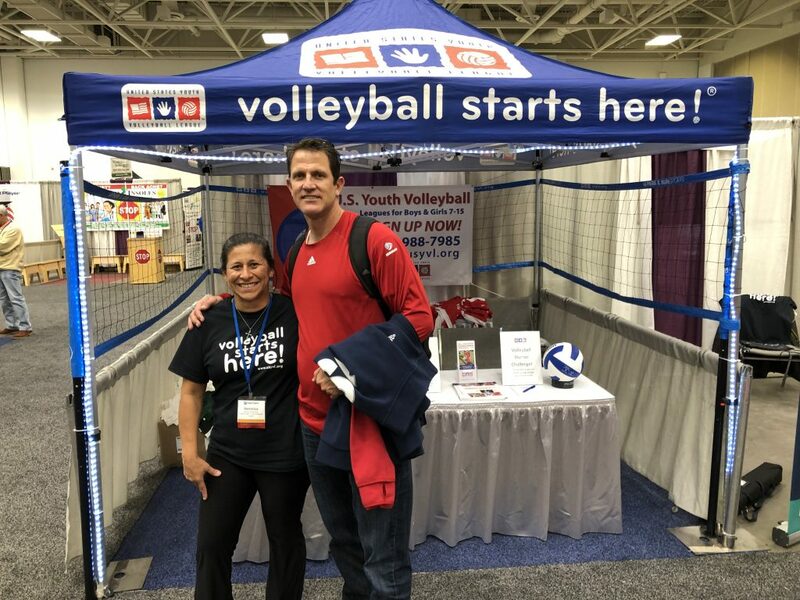 Not only did we get to learn more about coaching and volleyball but we were able to see some familiar faces. 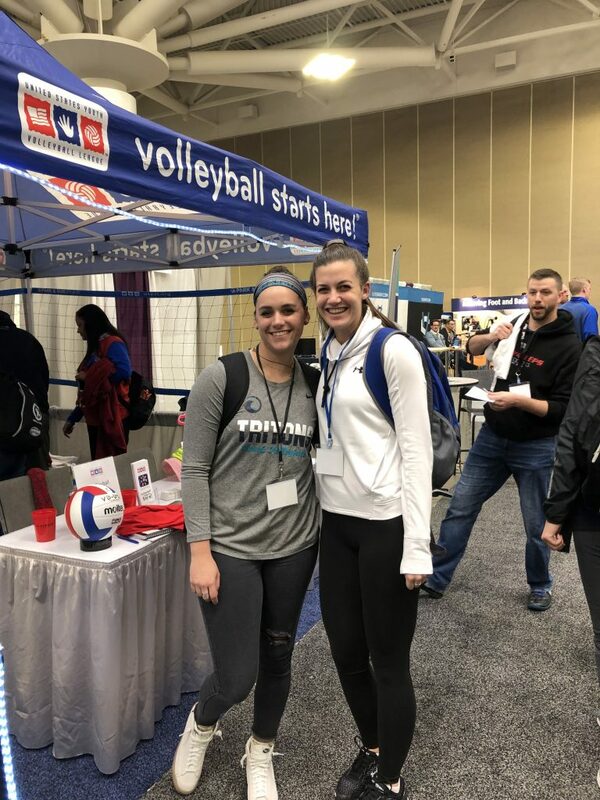 It was such a treat being able to see former USYVL players attending the convention as adults looking to further their knowledge in volleyball! Oh and of course there was the NCAA Women’s Volleyball Championship matches. Congratulations to the Stanford Women’s Volleyball Team on their eighth championship win! This is a great opportunity for participants, family and friends to attend a local volleyball event. P1440 is a three day event that will be taking place at Huntington State Beach from November 30 – December 2. 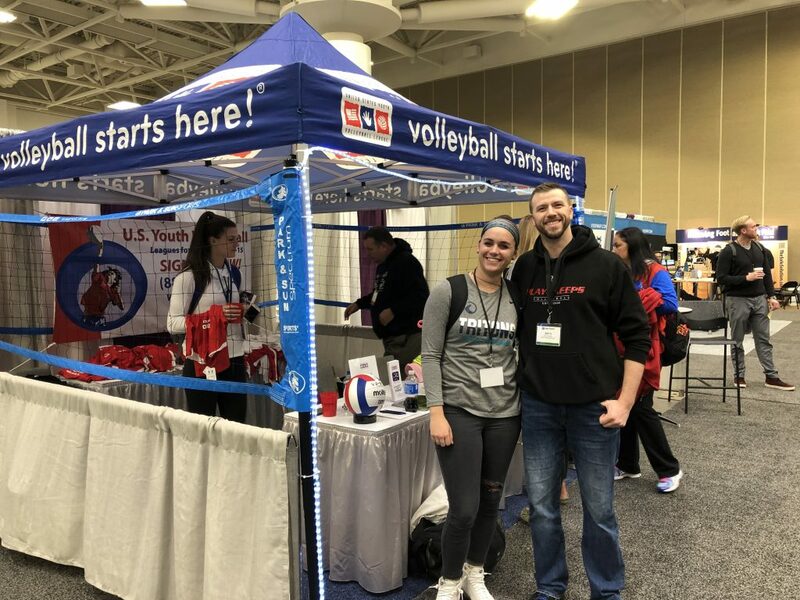 Founded by Kerri Walsh, three – time Olympic Beach Gold Medalist, and her husband Casey Jennings, P1440 is a part of the movement to grow the game of volleyball. 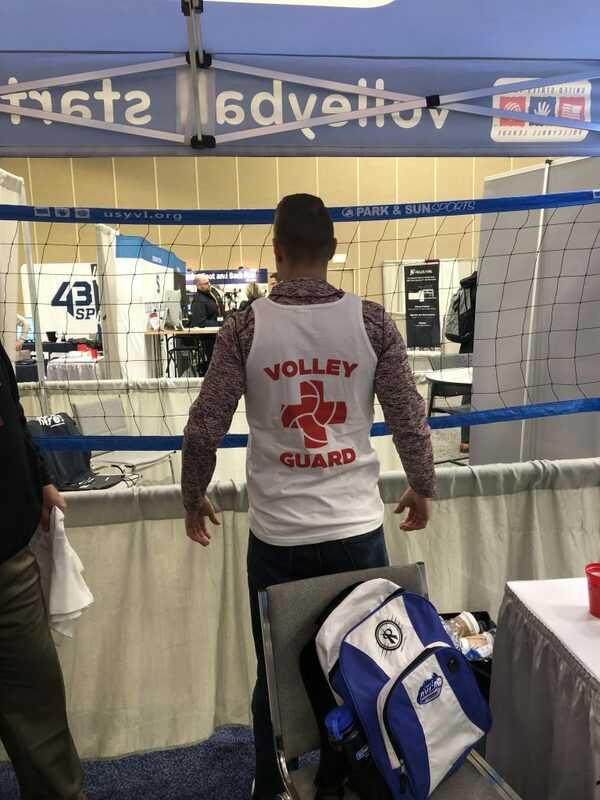 USYVL will be there December 1st to show our support for growing the game of volleyball. We would like to invite all USYVL players, volunteers, family and friends to join us! To reserve your spot and reserve a special USYVL t-shirt, complete the form below. A special thank you to P1440 for putting on this fantastic event! 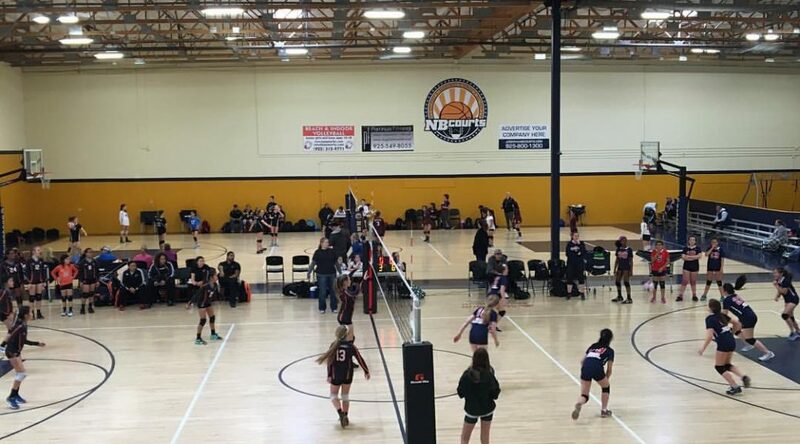 We are ecstatic to bring a new USYVL program to Livermore, CA at NB Courts. NB Courts is a beautiful facility in Livermore where we will have five courts full of kids ages 7-15 learning and playing volleyball. The program will run at NB Courts located at 6474 Patterson Pass Rd., Livermore, CA 94550 and is scheduled for Tuesdays and Thursdays from 6 – 7 PM. Season runs from April 10 – May 31, 2018. • Ages 7-15 (Divisions: 7-8, 9-10, 11-12, 13-15) (Age divisions are determined by child’s age on November 1st of participating year). 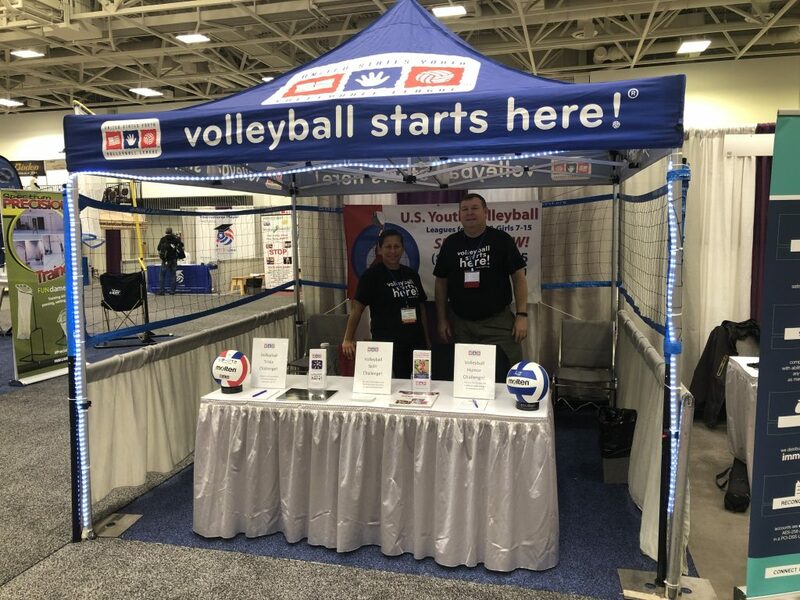 • While the program teaches children the skills necessary to excel in the sport of volleyball, the focus remains on participation, cooperation, sportsmanship, responsibility and, of course, fun! • Furthermore, a season of league games is sure to provide plenty of exciting volleyball action. • The USYVL is a family-oriented program where parents, siblings, grandparents, and friends are involved by volunteering. Volleyball is coming to Livermore! Come join us! USYVL players will be admitted to this match for free (as long as they are on the pass list). Family members and all adults who are also on the pass list will have to pay the group discount price of $5 per person (cash only) paid at the door. If anyone attends the match who is a not a USYVL family member and not on the pass list, they will be asked to pay the group ticket price of $5 per person. Due to NCAA regulations, please note that any high school aged individual must provide their age and grade on the list. Please reserve tickets by Friday, October 20. 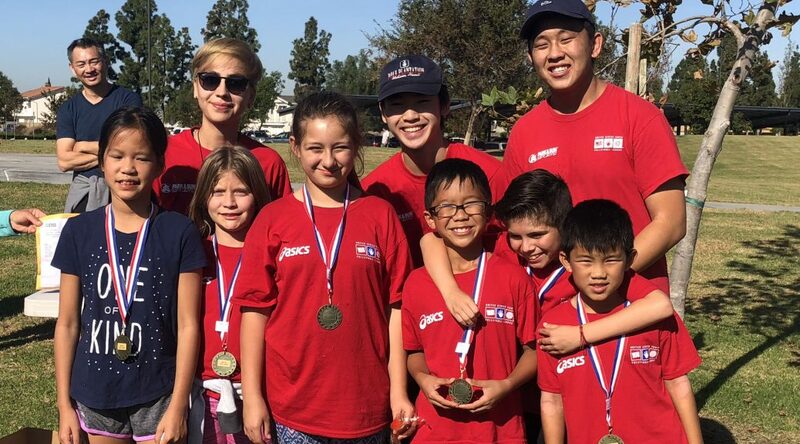 We encourage all participants that attend the Kids Night games to wear your USYVL t-shirt! To reserve tickets to USYVL Kids Night fill out the information in the form below. Please note that we need the age and grade of all youth attendees. Additionally, please sign up all adults who plan attend so that they are on the pass list ($5 admission fee applies to all adults). Parking is $2 per hour for regular season Softball games unless otherwise noted by the SDSU Parking Office. Patrons will pay for parking at the yellow pay machines located in Parking Structure 7 and display the receipt on the dashboard of their vehicle. Please note that any vehicles without a valid paid parking permit or valid receipt displayed in their vehicle are subject to citation by SDSU Campus Police. If there is a special event on campus and the Parking Office has attendants collecting money, parking rates would be the rate being collected. 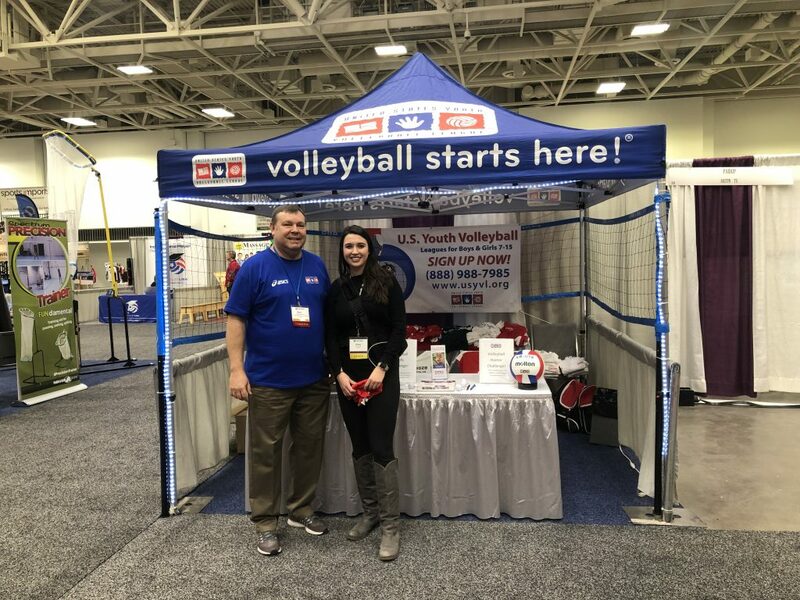 This year all USYVL players will get into the matches for free (as long as they are on the pass list), but family members who are also on the pass list will have to pay the group discount price of $5 per person. 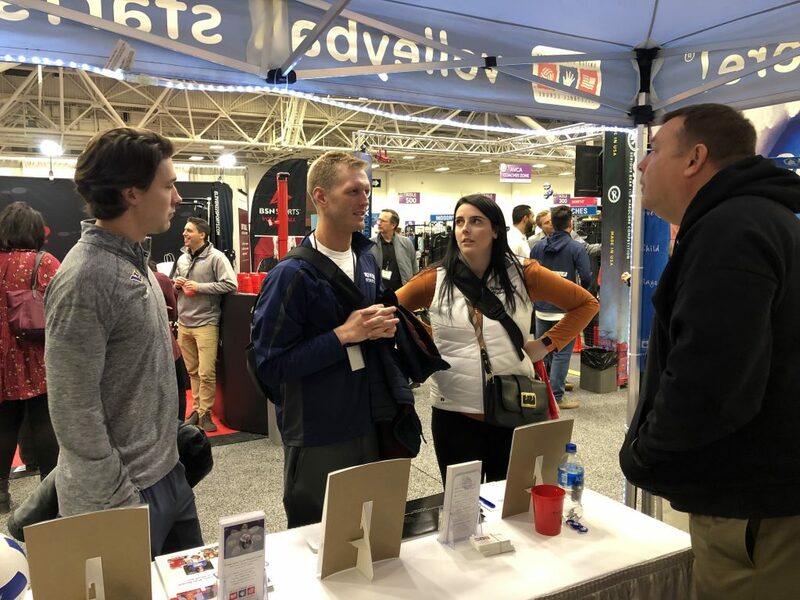 If anyone shows up to the match who is a USYVL family member but not on the pass list, they all will be asked to pay the group price of $5 per person. And as always, parking is free on campus. Due to NCAA regulations, please note that any high school aged individual must provide their age and grade on the list. Please reserve tickets by 5 PM on Friday, October 20. To reserve tickets to USYVL Kids Night fill out the information in the form below. Please note that we need the age and grade of all youth attendees. Additionally, please sign up all adults who plan attend so that they are on the pass list ($5 admission applies to all adults).